We have all had the surprise of reaching into our pockets to find a surprise. What have you found lately? For the young mom emptying pockets before washing kids clothes, they have found worms, rocks, and chewed gum. Or maybe you have emptied the small pocket on jeans and been pleasantly surprised with a $20 bill. If only that happened more often. Last weekend my daughter was over with her kids and the teenager was asked to start the car to warm it up. He was told “the keys are in my pocket” by his mother. 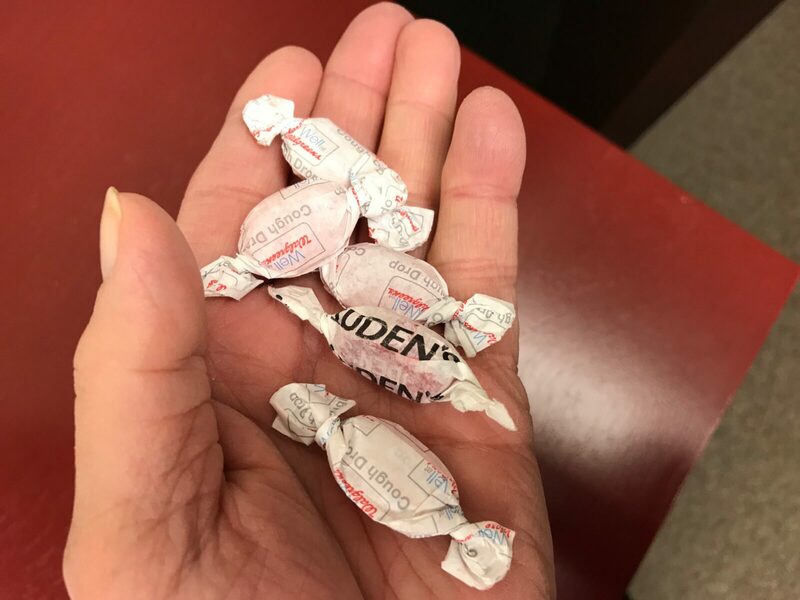 A few minutes later if exclaimed, “I only found cough drops?” Immediately I realized he had reached into my jacket pocket instead of his mom’s coat pocket. And yes, I usually carry cough drops in my left hand pocket. I knew exactly what he found and where they were. And that takes me to the topic of habits. We all have them. Some people go to the same church service every week, others check into the gym every day at the same time. These people are usually regimented in other areas of their lives too. They tend to be efficient and consistent in how they deal with problems, confront obstacles, and in serving others. In what areas of life are you consistent? Are you aware of your actions? Do you thrive on connecting with other people? When do you have fun? When have you found something that surprised you? The best surprises are found when we least expect them. It is like stepping on the scale and finding you have lost another 5 pounds. Or checking out at the local restaurant and finding a coupon has been applied. It is fun then to turn around and give the cash to the wonderful waitress who is always on top of things. That happened today. Last night I slept soundly and having found a good night’s rest was wonderfully refreshing. So my wish for you is to take the next step forward and find yourself on the escalator of success too. You may find a surprise coming!